If you have kids, then I’m sure you are familiar with the snack time struggle – especially when the school routine starts. If you don’t know yet, this is how it goes. 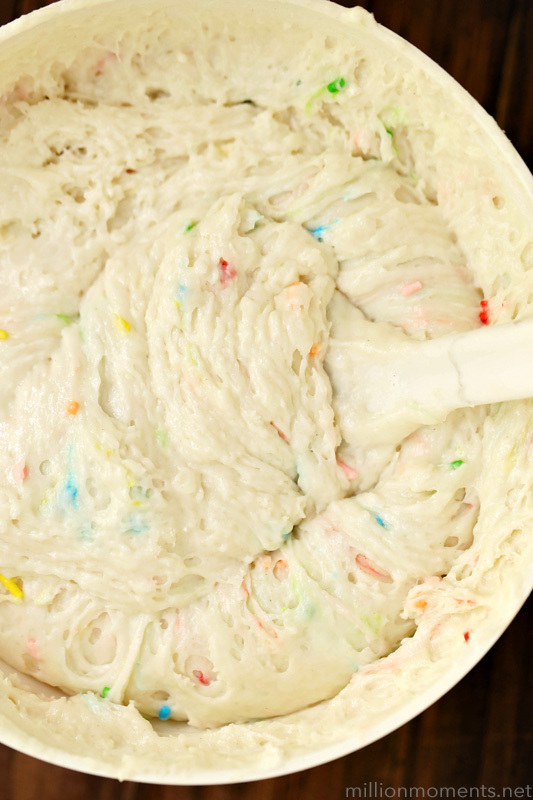 Snack time rolls around, you ask your kids what they want, and of course the answer is something ridiculous like cookies, candy or ice cream. Then you offer something healthy instead which is followed by the meltdown of the century because they just have to have something that will send them into an afternoon long frenzy, resulting in an epic crash and burn. Yeah, it’s rough. 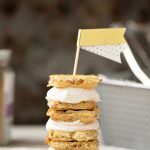 You already know I’m not big on sugary snacks for kids, but that doesn’t mean snack time can’t be fun! 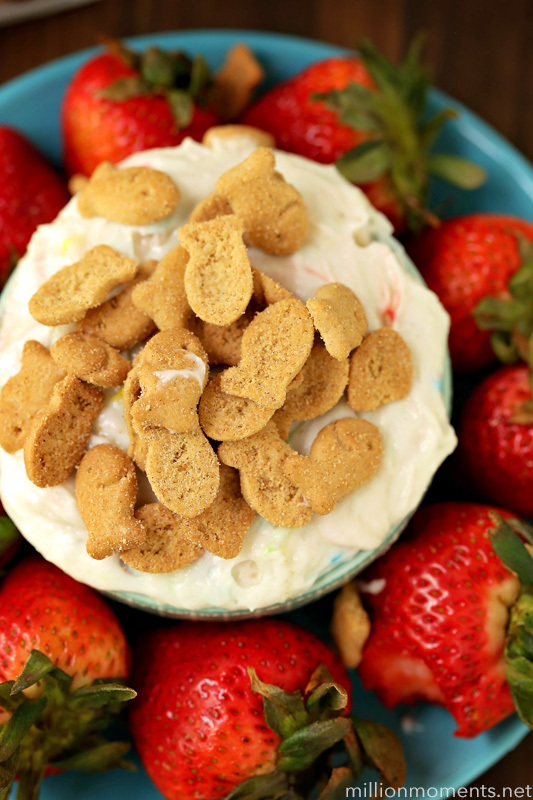 Luckily I’m pretty creative when it comes to faking sweet treats, so I decided to come up with a better for you dip paired with our favorite go-to of Goldfish® crackers. 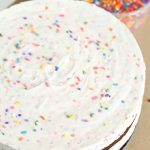 This recipe is super easy, and I love letting Judah help me make it too! First I have to mention these Baked with Whole Wheat Honey Grahams. 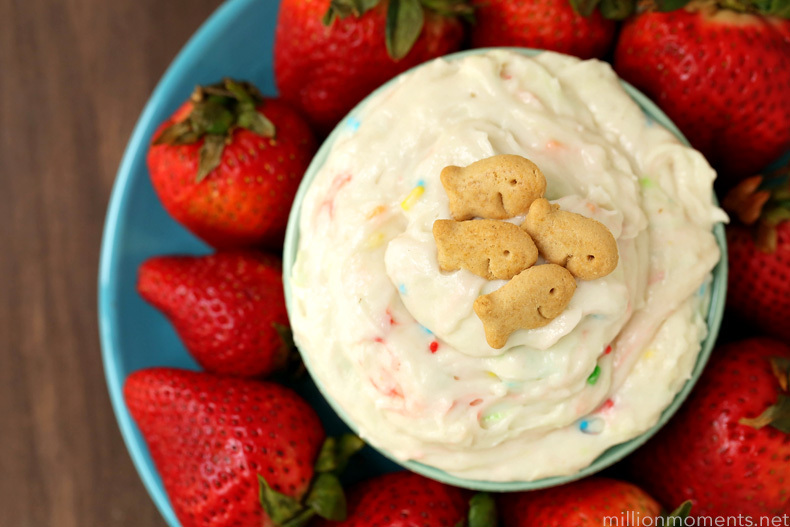 You know how much I love Goldfish crackers as a kids snack – they aren’t too salty, too sweet, or too indulgent, but these are by far my favorite! 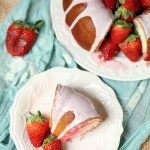 These babies have just the right hint of sweetness with a touch of honey, and guess what? they go perfectly with my dip recipe. 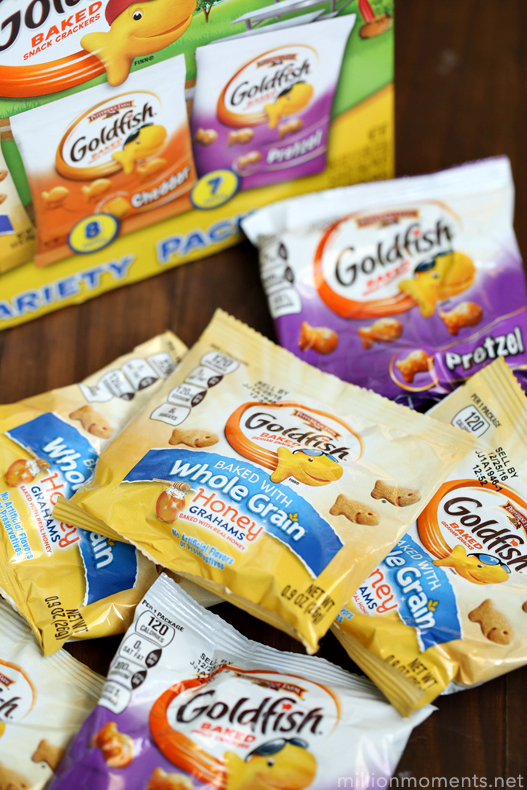 Since I keep a regular stock of Goldfish® Crackers pouches for school lunches, I use one pouch per serving of my dip because that way I’ll know the kids aren’t going overboard with their munching. The grahams are perfect for this, but the pretzel works well too! 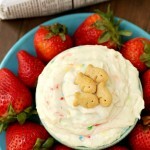 Once chilled, serve with the Goldfish flavor of your choice or your favorite fruit and enjoy! You can find Goldfish® crackers at your local Walmart, and here’s a great deal for you: Save $1.00 on any ONE (1) Bolthouse Farms® 10 oz. Baby Carrots or Bolthouse Farms(® 11 oz. 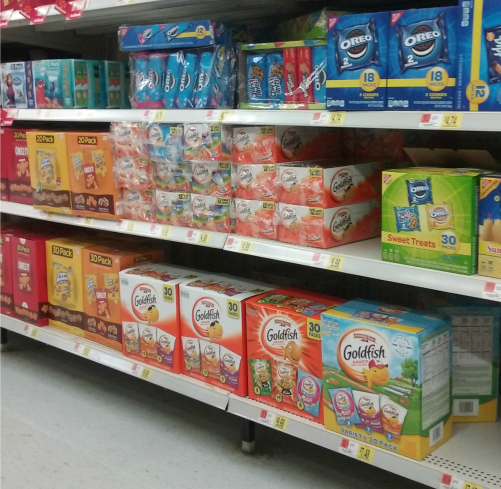 juice when you buy any ONE (1) Pepperidge Farm® Goldfish® crackers 30 oz. or larger.